My name is Kirby Morgenstern and I'd like to take you on an adventure you'll never forget. Sit back, read all about what we have to offer, and then decide if you want to experience what most people only dream about. Let me give you an idea of what to expect from your day of fishing. 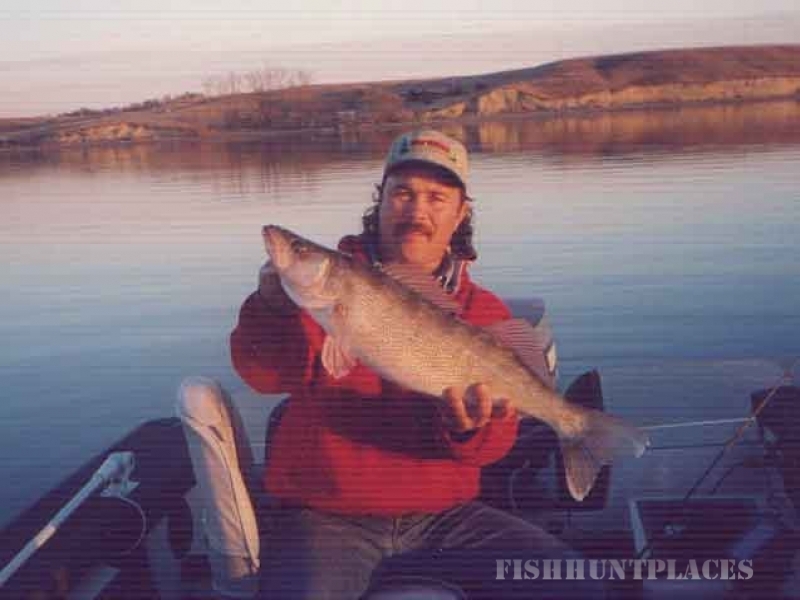 I've been fishing for walleyes most of my life and love doing it. I can't tell you the thrill and excitement of hooking into a nice walleye and bringing it in the boat. It's one of life's most enjoyable pleasures. I want you to come and enjoy that experience. We'll be on the water around 8:00 a.m. Catch fish. Catch fish. Eat. Catch fish. Catch fish. Head for the motel around 5 or so. Clean the fish that we got exhausted catching, then eat. The only thing you have to bring is your lunches for the day. I'll bring everything else, heck, I'll even clean your fish for you. I'll supply the poles, bait, and tackle. You just bring yourself and your best buddy, cause you don't want your enemies knowing about this experience.